Dan’s career in archaeology spans over 15 years starting with a First Class Honours degree in Archaeological Science from the University of Sheffield finishing in 2000. He worked in commercial archaeology throughout the UK until completing an MA in Archaeological Practice with distinction at the University of the Highlands and Islands Archaeology Institute in 2008. Since then he has worked for ORCA as a Project Officer (commercial, research and community projects) and a Teaching Officer for the archaeology department. 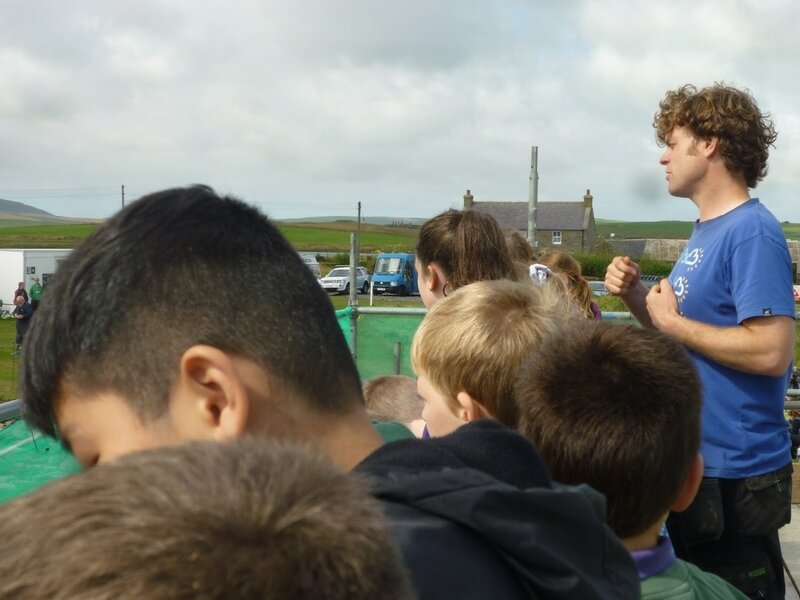 Dan completed a three-year community training project (2009-2011) with his Hoy and South Walls Landscape Project, funded by the Scapa Flow Landscape Partnership Scheme (HLF). Since 2015, Dan has held the new post of Lifelong Learning and Outreach Archaeologist with the Archaeology Institute and is responsible for developing, implementing and managing community archaeology projects in the Highlands and Islands region. Dan also teaches on undergraduate and postgraduate modules, develops short courses and works with numerous community stakeholder groups and local schools. The post also involves developing and managing the Archaeology Institute volunteer and work placement programme. Key achievements have been to engage new groups, such as youth and schools, in archaeology and develop social media outreach. Dan is research active in Landscape Archaeology, Contemporary Archaeology, Art/Archaeology and experimental creative practice in archaeology. This includes a number of residencies, collaborative/independent projects and workshops, and also conference attendance, conference speaking and publication output. Landscape Archaeology, Contemporary Archaeology, experimental mapping, Creative Archaeology, interdisciplinary collaboration, community archaeology, British prehistory, survey and mapping. Braes of Ha’Breck, Wyre, Orkney (2007- present): excavation of an early Neolithic settlement with Dr. Antonia Thomas. Final Reports in progress (Funding: Orkney Islands Council, Orkney Archaeology Society). Links House Farm, Stronsay, Orkney (2008-2009): excavation of a Mesolithic settlement. Publication in prep (Funding: Historic Environment Scotland). New Short Courses: Introduction to Archaeology evening class (2016); Field Archaeology short course (2017). Lee DHJ 2015. Northern worldviews in post-medieval Orkney: toward a more holistic approach to later landscapes. Historical Archaeology 49(3):126-148. Farrell M, Bunting MJ, Lee DHJ, Thomas A, 2014. Neolithic settlement at the woodland’s edge: palynological data and timber architecture in Orkney, Scotland. Journal of Archaeological Science 51: 225-236. Lee DHJ & Thomas A 2012. Orkney’s First Farmers: Early Neolithic Settlement on Wyre. Current Archaeology, Issue 268, 12-19.